Daniel Halldorson won the 1986 PGA Championship of Canada at the Brantford Golf & Country Club in Brantford, Ont. His lone PGA Tour victory came in 1980 at the Pensacola Open, but had 28 career top-10 finishes. Halldorson represented Canada seven-times between 1976 and 1991 at the WGC-World Cup, winning in 1980 and 1985. 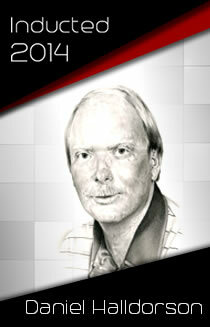 He was elected to the Canadian Golf Hall of Fame in 2002.